Task: to create a spotlight casing. 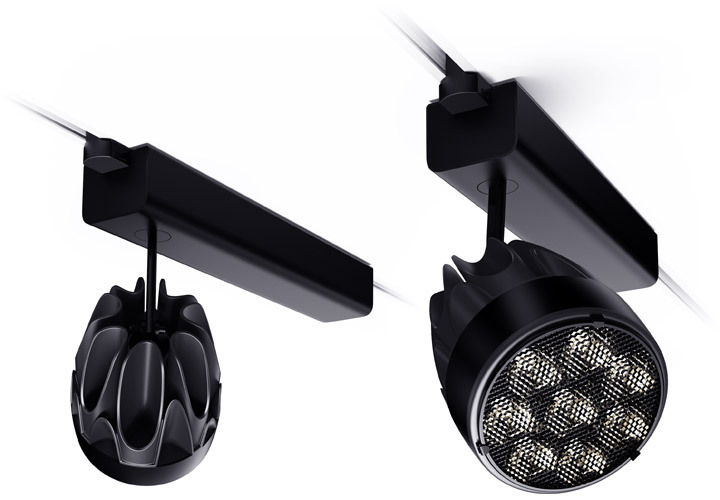 The LED spotlight created by Rainbow Electronics is used to illuminate exhibits in trade and exhibition halls. 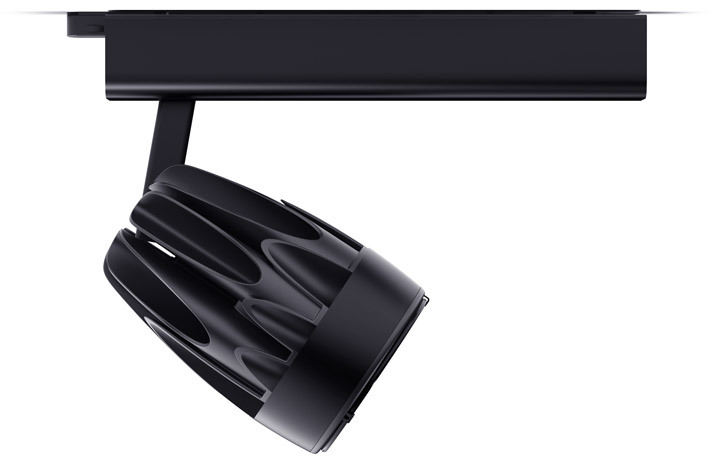 The lamp is powered by 75 W LED modules. 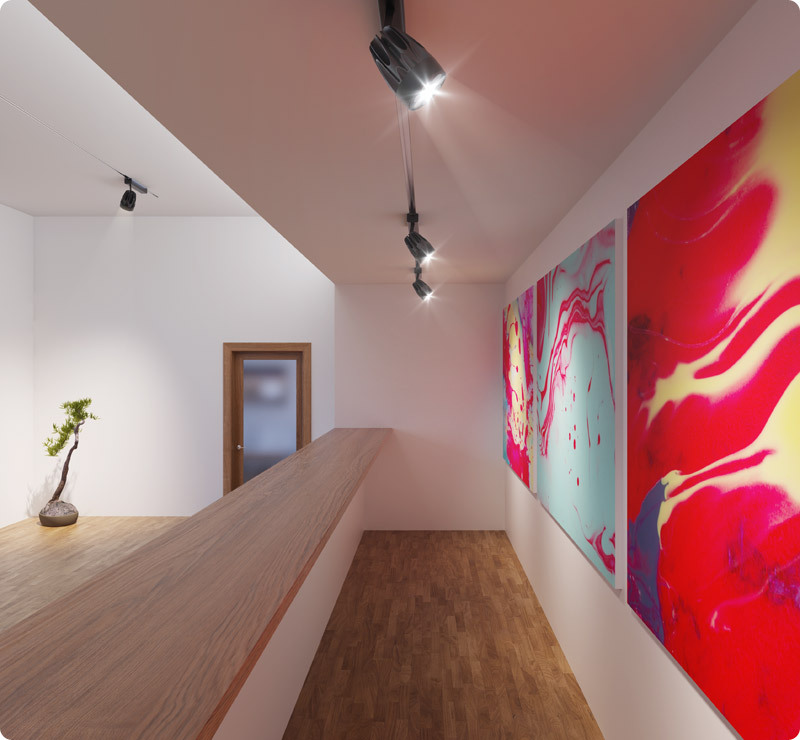 Among the advantages of employing LED lamps in spotlights is the lack of ultraviolet radiation (which helps protect the exhibits from fading), as well as natural rendition of colors. The radiator is made of aluminum with black or silver anodized matte finish. The lighting mode can be changed: there are two fixed lighting angles which can be switched by simply turning the adjustment ring. A considerable degree of freedom of rotation allows to easily point the spotlight at the chosen object.